Obituary for Winsome Hawkins | Medford-Peden Funeral Home & Crematory, Inc.
Winsome Hawkins, former Atlanta philanthropic community leader, passed away November 29, 2018 in Marietta, GA. For 49 years, she was the wife of Neville Hawkins, a retired systems engineer; they married in 1969. Born in Spanish Town, Jamaica to Thomas and Ivy Keane-Dawes, she graduated from Excelsior High School in Kingston, Jamaica. She later earned a bachelor’s degree from the University of Manitoba in Winnipeg, Canada and a master’s of Social Work from Rutgers University in New Brunswick, NJ. After graduate school, Winsome moved to New York and worked as a social worker at Downstate Medical Center. Later she moved back to Jamaica to get married and start her family. As she began her professional career, she held positions at the Red Cross, University of the West Indies and the Social Development Commission, which gave her the opportunity to travel to England, Kenya and Tanzania. The family moved to Trinidad in 1977 where Neville was contracted with IBM. 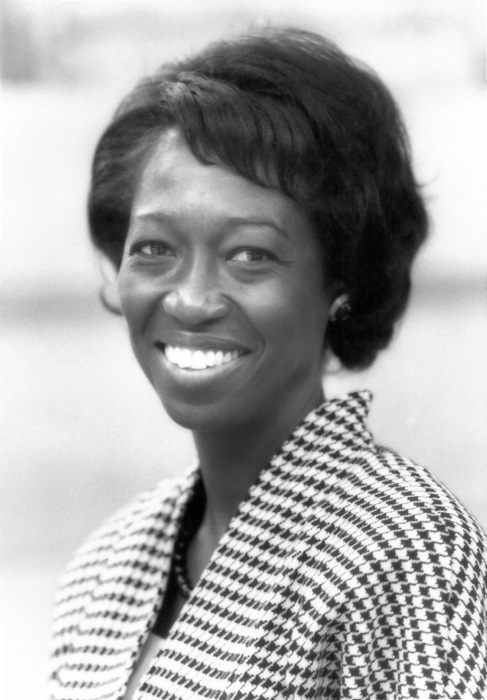 In 1978 they moved to the United States and settled in Marietta, GA.
During her community development career, Winsome held positions at Georgia State University and the Atlanta Regional Commission. Her commitment to community leadership involved being part of Leadership Cobb, Leadership Atlanta, the Urban League, and the Junior League of Atlanta. In addition, she served on the boards of Girls Inc. of Greater Atlanta and the United Way in Cobb County. In 1989 Winsome began work at the Community Foundation for Greater Atlanta and retired from her position as Vice President of Community Programs and Initiatives in 2002. In this capacity, she was responsible for the Community Foundation’s grant making as well as several community initiatives that focused on children and youth and the revitalization of low- and moderate-income neighborhoods. In 2009, she served as Interim Executive Director of Community Foundations Leading Change (CF LEADS), a national organization that connects community foundations to their peers and other sources of knowledge and expertise as they take on crucial leadership roles to build thriving communities. Winsome held a number of leadership positions in national and international philanthropic communities. For several years she was actively engaged in supporting the expansion of organized philanthropy in the Caribbean through the Association of Caribbean Community Foundations. She served on governing boards for the Rockdale Foundation and the Worldwide Initiatives for Grantmaker Support (WINGS). She earned a multitude of awards and distinctions from various philanthropic and community organizations, most notably the Atlanta Women’s Foundation, the YWCA of Cobb County, Interfaith Incorporated and Africa’s Children’s Fund. In addition to supporting the community for work, Winsome was also a mentor to countless individuals, fostering a diverse network of friends and extended family in the Caribbean and the US. She provided guidance, counsel and long-term support to many, serving as an advocate during times of need. Winsome was a passionate gardener, at home and in the community, who earned the distinction of Cobb County Master Gardener. She was generous with her time and gardening expertise, meticulously cultivating her personal garden and beautifying the yards of friends and family members. In addition, she led landscaping teams during home builds for Habitat for Humanity of Northwest Georgia. For more than 20 years, Winsome was a devoted member of St. Peter and St. Paul church. In 1999, she completed the program of Theological Education by Extension Education for Ministry administered by the School of Theology, the University of the South. She looked forward to reading the lessons during church services; and she visited the sick and shut-in to offer the sacrament of communion. She applied her extensive knowledge of gardening to revive the St. Peter and St. Paul memorial garden (where she will be interred) and organized a committee to oversee its regular maintenance. In addition, Winsome was a hospice volunteer who cherished the sacred moments she spent sitting with patients and supporting them through their transition from this life to the next. Winsome is survived by her husband, Neville and their three daughters, Stacey, Gabrielle and Najet; her granddaughter Iyana; her siblings Dorothy, Winston, Dennis, Ronald, Philip and Maurice Keane-Dawes. A celebration of life service and reception will be held December 15 at 11:00 a.m. at St. Peter and St. Paul Episcopal Church. In lieu of flowers, please consider making a donation to the Memorial Garden in Winsome’s honor. Donations can be sent to St. Peter and St. Paul Episcopal Church, 1795 Johnson Ferry Rd. Marietta, GA 30062. Include “Memorial Garden” in the check memo.